Cycledrag.com recently caught up with, Skip Dowling, the man in charge of longtime, respected motorcycle drag racing parts manufacturer and speed shop Orient Express. Dowling shared his enthusiasm on the Dymag wheels, especially the carbon fiber series, becoming the next big thing in dragbike racing. He also expressed his excitement for Orient’s continued involvement in the sport and its long-standing title race, the U.S. Motorcycle Nationals from Atco, N.J. 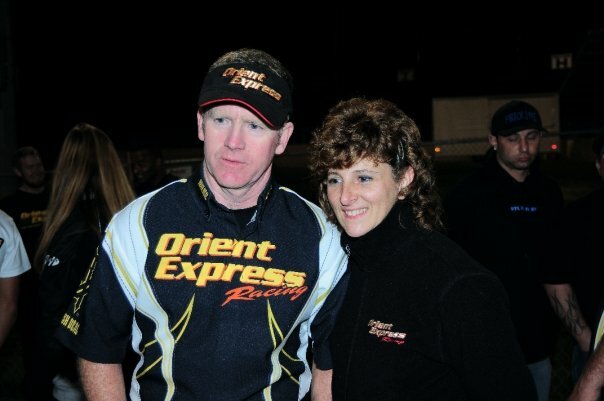 Skip Dowling and his lovely wife Jenifer of Orient Express have been major supporters of motorcycle drag racing over the years. 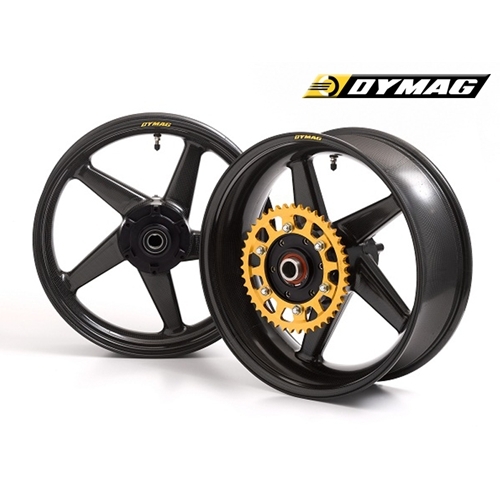 The Dymag Superbike SB5 hollow spoke magnesium wheels offer great looks, light weight, and incredible strength. The Carbon Race 5 Spoke (CA5) motorcycle wheels have been designed with the benefit of 30 years of specialist experience of lightweight wheel technology. These stylish ultra-light and ultra-strong one-piece Dymag Carbon Race 5 Spoke motorcycle wheels will transform your bike’s handling and performance. The Carbon Race 5 Spoke (CA5) motorcycle wheels have been designed with the benefit of 30 years of specialist experience. Click here to see the Dymag wheels Orient sells. Along with the involvement in road racing for the past 13 years, Orient continues it’s strong support of drag racing. This season, Orient re-signed sponsorship deals with Bikes in The Valley (Lebanon, N.Y), Englishtown Top Street Bike and the IDBL. “We want to remain committed to drag racing. We have a great group of loyal and passionate racers who have been following our sport and using our products,” Dowling said. 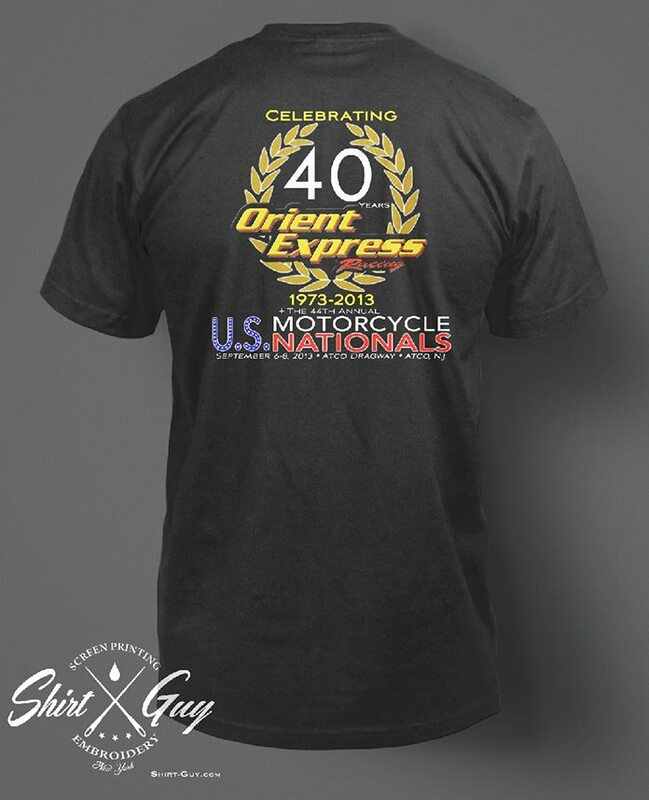 The 2015 supports includes Orient’s quintessential event, one the company has backed since the 1970s – the U.S. Motorcycle Nationals from Atco, NJ. The Orient Express U.S. Nationals is the longest running motorcycle drag race in the country. Skip Dowling has played a hands-on role in Orient’s involvement in the U.S. Motorcycle Nationals. 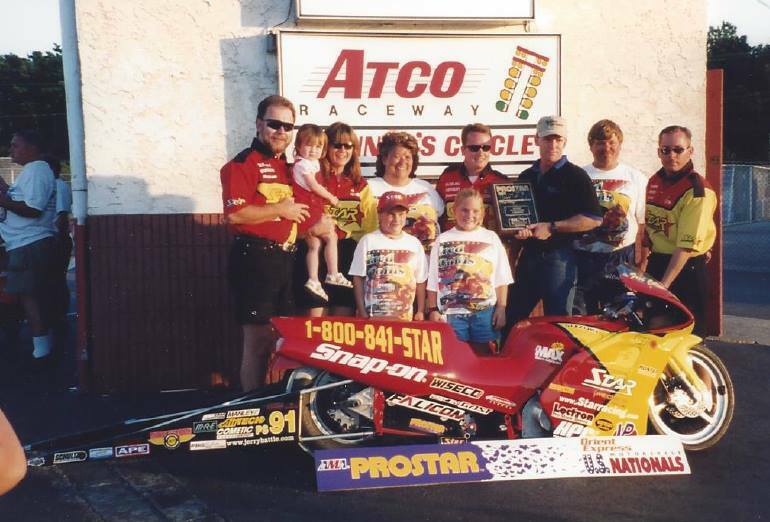 Here Skip presents Star Racing’s Fred Collis with an award in the late-90s. Along with their Dymag carbon fiber wheels and other components Dowling is particularly excited about his many suspension components. Make sure to check them out. Click here to browse the Orient Express parts.